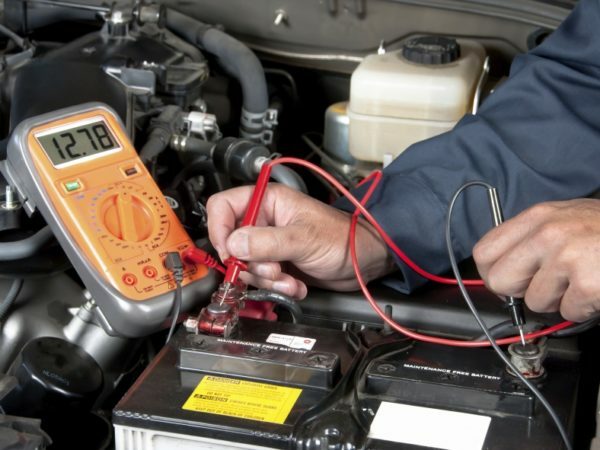 We provide mobile auto repair to all of the North Bay. 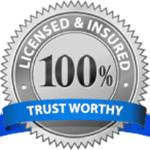 This means we come right to you for all of your auto repair needs. Whether you’re at work, home, or broken down somewhere, we’ll come to you. I have been providing mechanic services for decades and I’m so proud of what A and D Mobile Auto Repair has become. 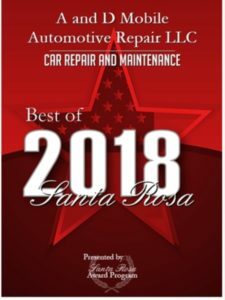 From our countless 5 star reviews across multiple platforms to the 2018 Best in Santa Rosa Award, our mobile auto repair services have been tremendously well received. Helping people with a professional and affordable auto repair service is a true joy of mine. In an industry that is full of deception, up-charging, and straight up scams, my mission is to remind people that there are still some good mechanics out there that you can trust with one of your largest investments. 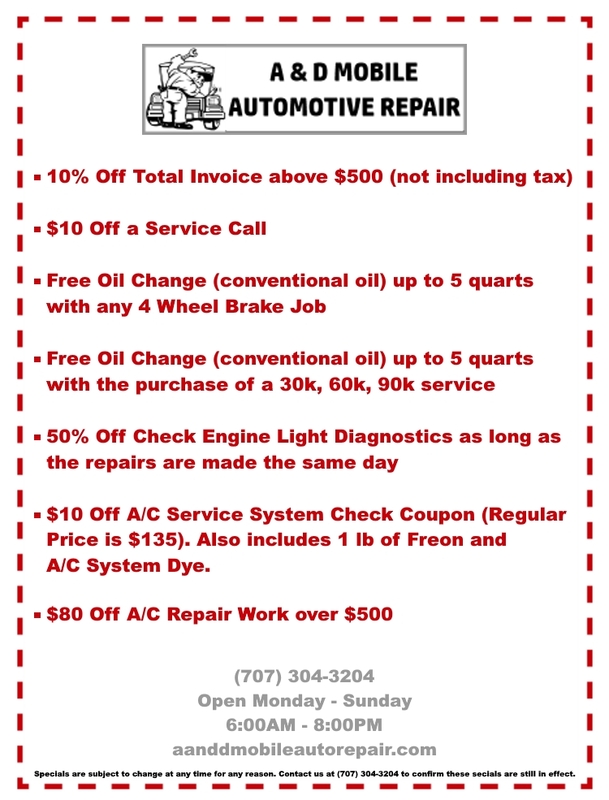 If you’re in need of any auto repair service, please give us a call at 707-304-3204. 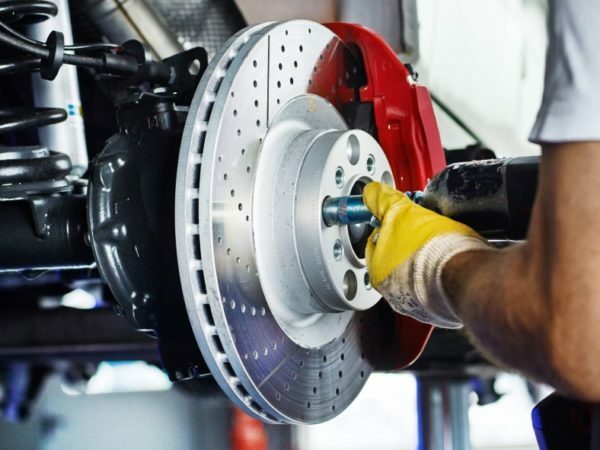 We provide brakes and suspension services, oil changes, tune ups, no turn no crank issues, tires, vehicle batteries, alignment, and MANY more auto repair services. 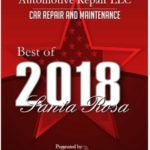 For the best mobile auto repair in the bay, call us today! Dave is the best mechanic I've found. He is knowledgeable and courteous. He always goes the extra mile for his customers. Call Dave when you need work done. You won't be disappointed. I'm a female that doesn't know jack about cars and I was recommended Dave through a friend of mine that been trusting his car with him for years. In the past I was ripped off by mechanic in the city and now I won't ever take to anyone else because he is a car whisperer! Not only does he explain everything he does but I can understand what why and how. His prices are extremely fair which is surprising because he's so amazing. He won't do work that doesn't need to be done he won't charge you outrageous prices that most dealerships charge you and his hourly rate is affordable. Take your car worries to Dave and he will take 110% care of you and you will be supporting a family instead of a greedy corporation! 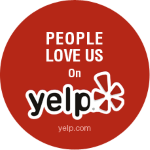 Our customers love us because we treat them right! 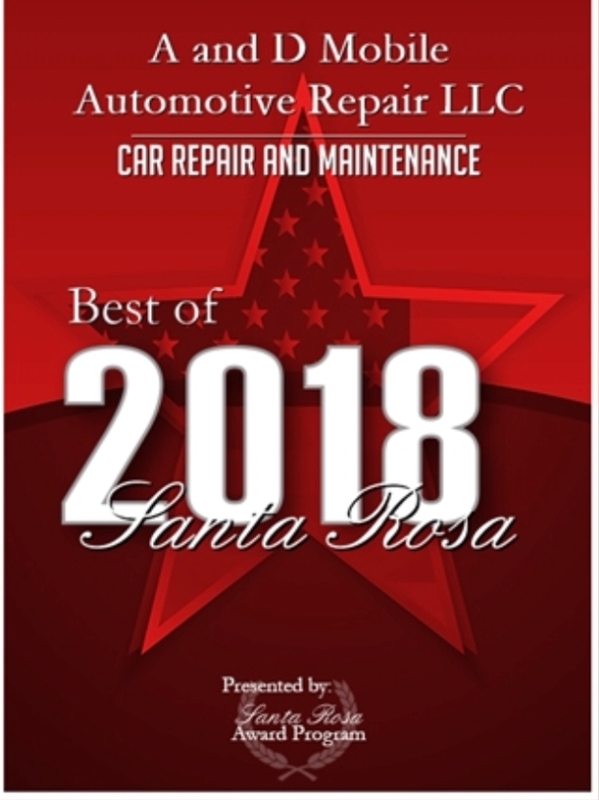 Whether it’s our dealer-quality mechanic services, our fair and affordable prices, or the fact that we conveniently come to you, we are the North Bay’s #1 Mobile Auto Repair Choice!